On 10th of March 1991 Ayrton Senna won the United States Grand Prix. At the start, Senna and Prost maintained their places while Mansell sliced ahead of Patrese and Piquet lost out to Alesi and Berger. 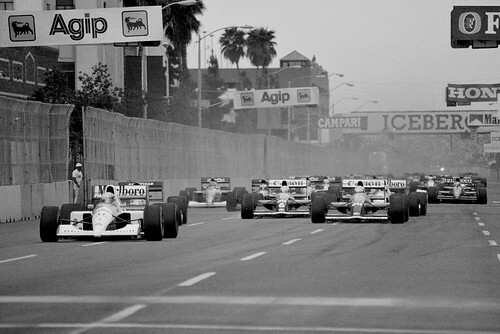 The order at the end of lap 1 was: Senna, Prost, Mansell, Patrese, Alesi and Berger. Early on, as Senna was pulling away from Prost, Alesi got past Patrese for fourth. However, Patrese repassed him on lap 16 and closed up on Mansell. He attacked on lap 22 but shot into an escape road and rejoined behind Alesi and Berger. He quickly closed up on them with Berger attacking Alesi but unable to pass. Patrese passed Berger on lap 34. On the next lap, Mansell’s gearbox failed and soon afterwards, on lap 36, Berger had fuel pump trouble, which forced him to retire. Patrese then passed Alesi who pitted on lap 43. He closed in on Prost and the Ferrari pitted on lap 46, with right rear troubles putting him down to seventh. Patrese didn’t last longer, his gearbox failing and then the stationary car was hit by Roberto Moreno, forcing both of them out. Piquet, who did not stop, was passed by Alesi for second with Prost taking fourth off Stefano Modena soon after. Alesi was having gearbox troubles and was holding back Piquet as Prost began to attack both of them. On lap 70, Piquet passed Alesi and Prost followed him through. Prost then shifted sides getting ahead of Piquet as well. 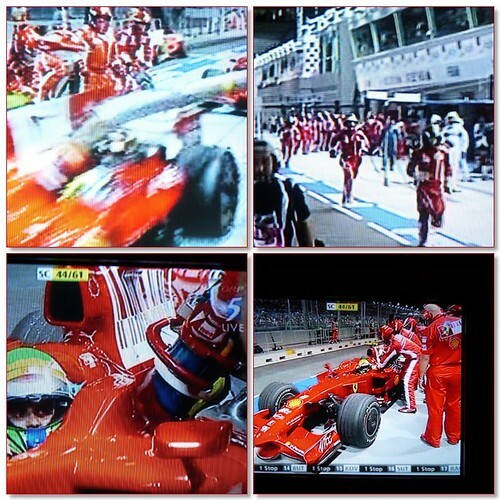 Modena passed Alesi for fourth and Alesi soon retired with gearbox troubles. Unflustered by all this, Senna won from Prost, Piquet, Modena, Satoru Nakajima and Aguri Suzuki. Senna would go on to win the first FOUR rounds of the 1991 Season, which was quite a feat in the early 1990s. F1 cars were considerably less reliable back then. It was common for a dozen cars to retire from the race, and sometimes more! This would be the final US Grand Prix at Phoenix, and the last US race until the 2000 USGP in Indianapolis! Let’s hope that the upcoming season is as good as 1991!